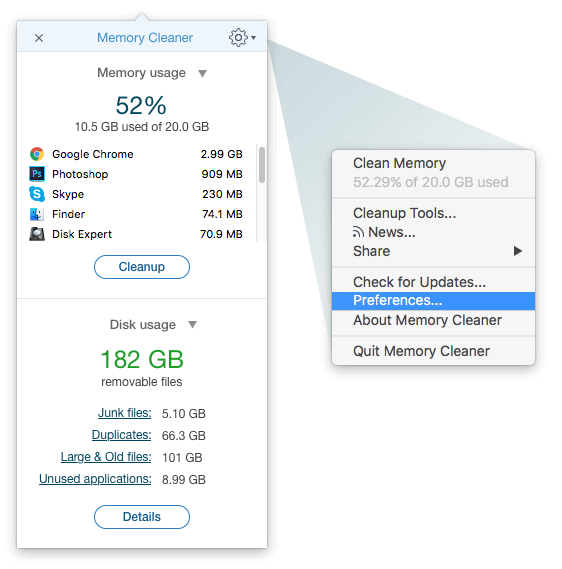 Memory Cleaner allows you to free up RAM memory manually or automatically. 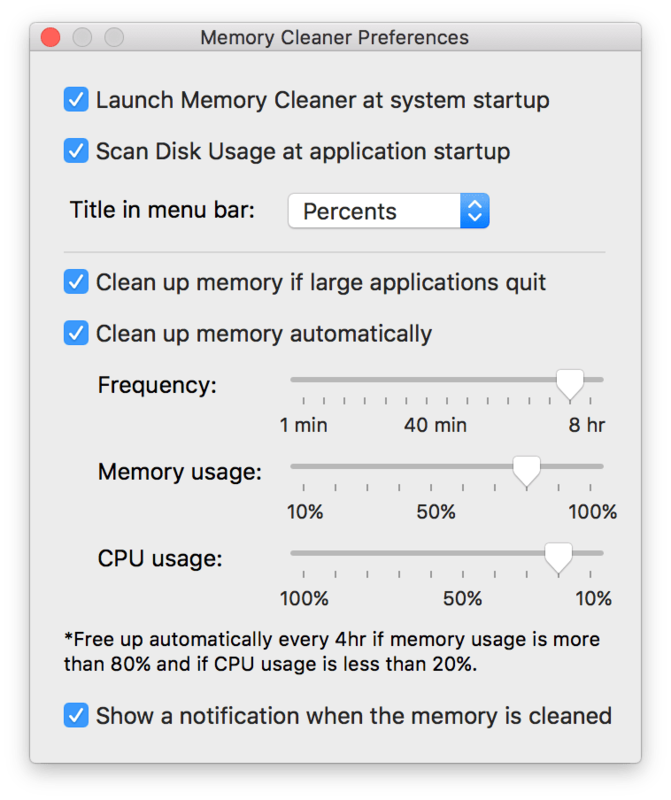 If you want to set an automatic cleanup of inactive RAM, you can change the settings in Preferences. 1. Go to Settings and select Preferences. 2. Select a Frequency based on how often you would like the cleanup to occur. Also, you can set up the cleanup frequency depending on the memory usage and CPU usage.